N.O.V.A. 3 Multiplayer Gameplay Trailer Released, Was That A Warthog I Just Saw? In classic Gameloft fashion, they have released yet another upcoming N.O.V.A. 3 trailer. We always knew that this game took certain aspects from the Halo series, but now after seeing this new multiplayer gameplay trailer, I can officially say that this game is Halo-on-the-go. Take a peak at the trailer down below to see what I mean. Notice the Warthog? In the new N.O.V.A. 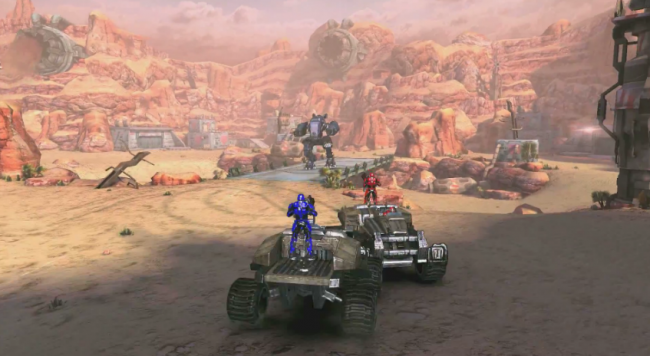 multiplayer, teams will have to work together to drive vehicles and to defeat their opponents. Oh, like Halo? Either way, the trailer is making this game out to look pretty flippin’ sweet and the trailer says it should be out this month. Excited? Speaking of game trailers, did anyone catch the new Call of Duty Black Ops 2 trailer that aired last night? I will save my commentary on that until I see additional footage, but I will say that so far, I am scared for CoD’s future.